Comment: I need to tune up and adjust my 6 station sprinkler system to ensure even coverage. I also need to seed and cover a new lawn on approx. 1200 sf. The existing lawn has been removed, soil is tilled, leveled and ready to go. Comment: I would like to get an estimate for spring clean. There is branches. I want the yard cut. Comment: Due to our wonderful rainy season, we have abundent weeds and dandelions in both our small front yard and side yard. We would like cleanup of all these weeds and removal of plants my husband no longer wishes to have in the front yard. Comment: Getting ready to sell house. Burbank Lawn Care Services are rated 4.57 out of 5 based on 2,607 reviews of 36 pros. 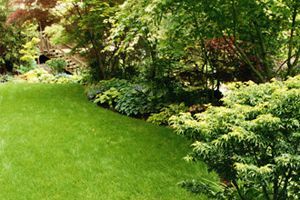 Not Looking for Lawn & Garden Care Contractors in Burbank, CA?